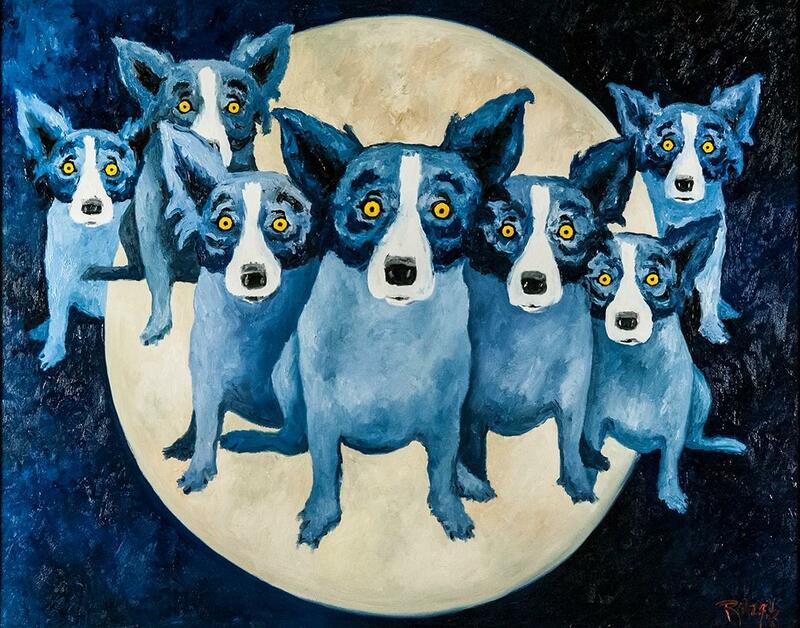 Acadiana native George Rodrigue rose to international fame with his iconic Blue Dog paintings. His pop art has been featured in advertising campaigns by Absolut Vodka and Xerox, three U.S. presidents have commissioned his work, and his original pieces sell for more than $60,000. Rodrigue passed away in 2013, but thanks to his enduring creativity and passionate pioneering, Louisiana’s local lore and landscapes are forever preserved. Inspired by a cross breed of the Rodrigue family dog, Tiffany, and Louisiana’s legendary werewolf, the loup-garou, Rodrigue created his first Blue Dog in 1984. With background scenes ranging from Louisiana’s raised cemeteries, moss-draped oaks and cypress swamps to abstract swaths of color, Blue Dog remains stoically in the forefront of hundreds of paintings. Despite it being his most well-known work, Rodrigue’s storied art career began long before his first Blue Dog. In third grade while bedridden with polio, he painted scenes of the South Louisiana landscape outside his window. By the time he was 27, Rodrigue painted one of his greatest masterpieces, “The Aioli Dinner,” which was based on the old Creole society parties—think Manet in Cajun Country—that were hosted in the late 1800s. Rodrigue dedicated his life’s work to capturing the rich flavors and traditions of Cajun culture—something no other artist had done before, and a decision that led him to become Louisiana’s most famous artist. “He loved his culture and thought it deserved to be part of the American conversation—because only in America could a Cajun culture exist,” says Jacques Rodrigue, who runs his father’s restaurants and galleries today. Art enthusiasts flock to Rodrigue’s studios in New Orleans and Carmel, California, but perhaps the most special place to visit is the gallery in Lafayette. Here, admirers can see original works, shop for certified prints and hear old stories told by Rodrigue’s childhood friend Dickie Hebert, who helps run the gallery. Around the corner at the nearly 20-year-old classic Cajun staple, the Blue Dog Cafe, Rodrigue’s colorful prints adorn the walls, giving guests the opportunity to witness first-hand the impact Cajun culinary traditions had on his work. Now, nearly two decades after opening, Rodrigue’s family is reinvigorating the restaurant, elevating the dining experience and continuing to create a showplace for authentic Cajun art, food and music. 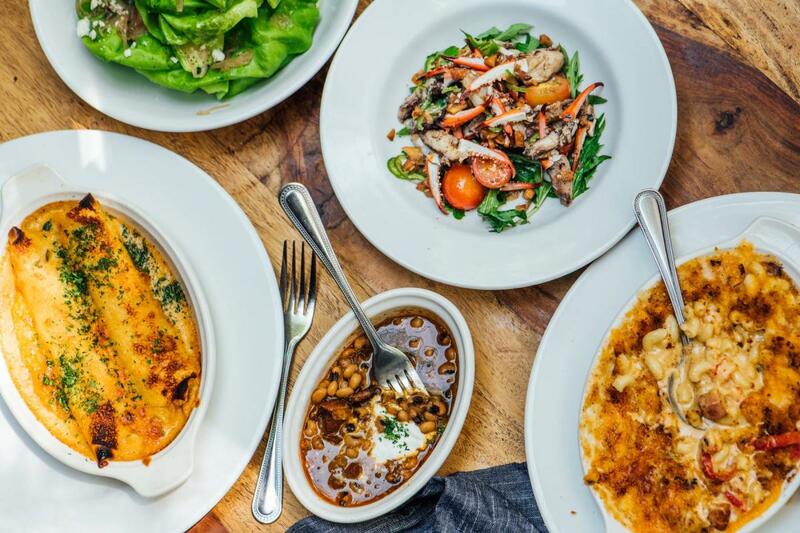 Earlier this year, Blue Dog Cafe brought in new executive chef Ryan Trahan, who’s not only the reigning King of Louisiana Seafood and American Seafood, but has also been named “Chef to Watch” by Louisiana Cookin’ magazine. Trahan specializes in modernized Cajun cuisine and has developed several new menu items, including Pecan Smoked Catfish, Blue Crab Spaghetti, BBQ Shrimp and Grits and Pan Seared Crawfish Cake. 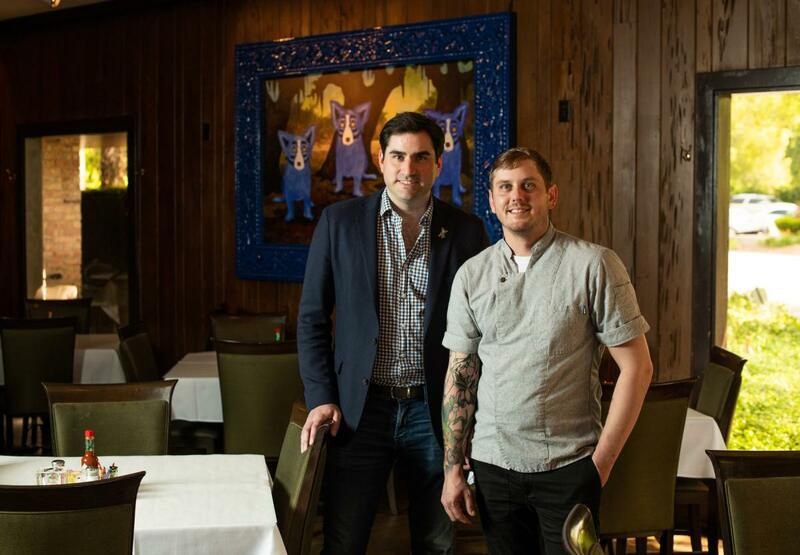 As a nod to Rodrigue’s bold style, the restaurant’s menu features several out-of-the-box items, including the Cast-Iron Heirloom Cornbread, which is made with blue corn and arrives at the table—you guessed it—blue. 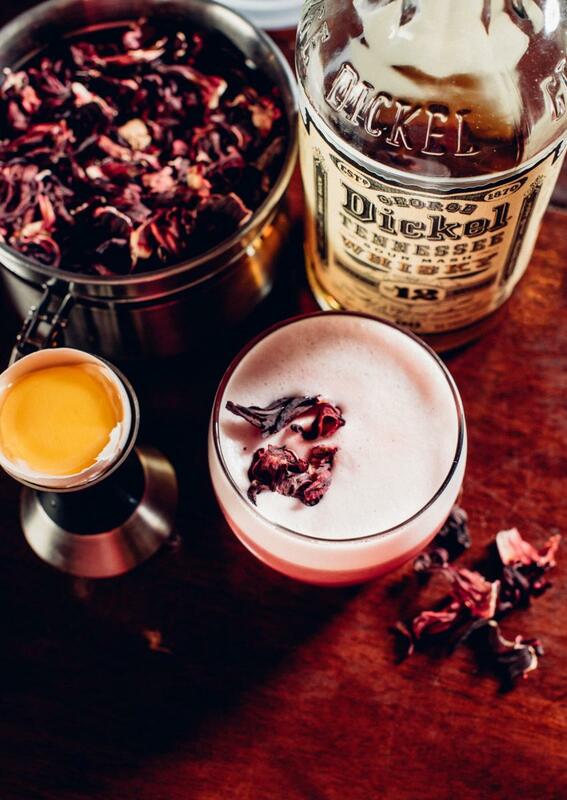 The cocktail menu includes original libations like the Blue Dog Margarita, the Loup Garou and Hurricane on the Bayou, as well as classics like the Sazerac. Just as art and food are imperative to Cajun culture, so is music. Blue Dog Cafe brings in regionally renowned musicians every Thursday, Friday and Saturday night as well as for Sunday brunch. Blue Dog Cafe is open weekdays at 11 a.m. for lunch and dinner, Saturday at 5 p.m. for dinner and Sunday brunch from 10:30 a.m. to 2 p.m. The restaurant is located at 1211 W. Pinhook Road. Two minutes from the restaurant, Rodrigue Studio is located at 1434 S. College Road. The gallery is open Monday through Wednesday from 10 a.m. to 5 p.m.; Thursday and Friday from 10 a.m. to 4 p.m.; and Saturday from 12:30 to 5 p.m.